Buy Heather Hills Beeswax Candle - Beehive in the UK from our online shop or directly from our independent Scottish store. This little candle stands approximately 5 cm high and is shaped like an old fashioned skep beehive complete with two wax bees. It is produced in-house using our own beeswax and has a wonderful sweet honey aroma. We sell real Heather Hills and other Gifts directly from our shop in Scotland and online throughout the UK. Where can you buy real Beeswax Candle - Beehive safely online? If you are wondering where you can buy Heather Hills Beeswax Candle - Beehive safely online in the UK, then shop with us. 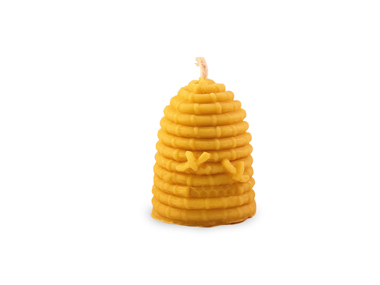 Beeswax Candle - Beehive - Heather Hills Beeswax Candle - Beehive in Gifts and Easter & Gifts.